The cost effective and aesthetically pleasing safe alternative to blockwork. 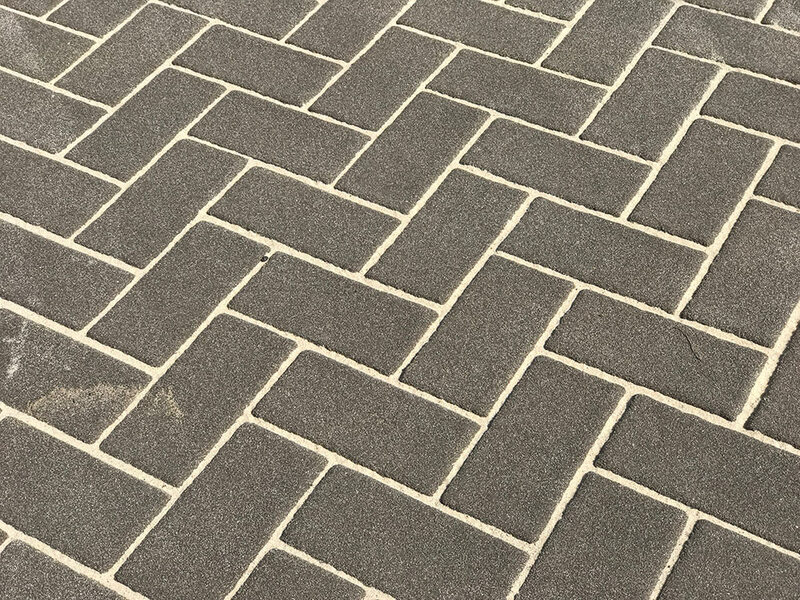 Imprint offers a truly fantastic alternative to block work in your urban area and has a multitude of benefits with its aesthetically pleasing presence really complimenting the underlying brilliance of this product. 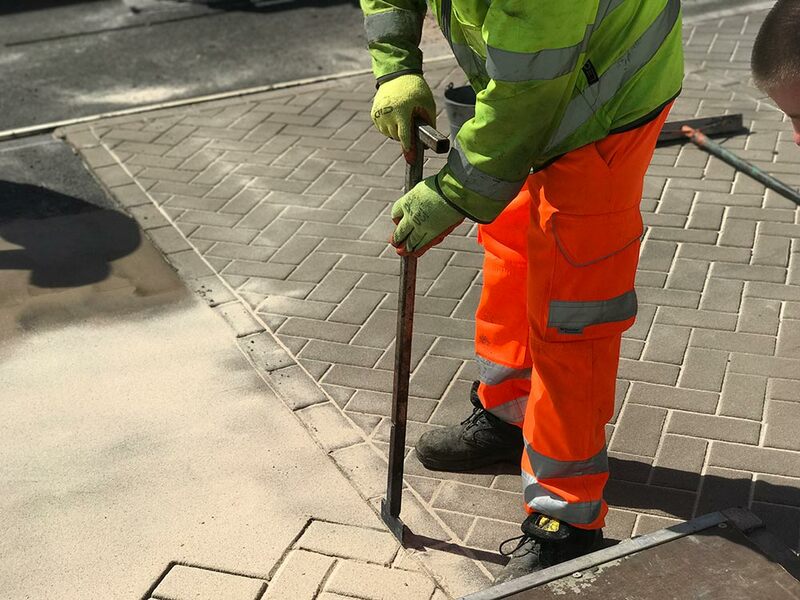 Imprint surfaces contains a high level of Skid Resistance Value (SRV) making it an extremely safe, hardwearing surface, ideal for any urban area. 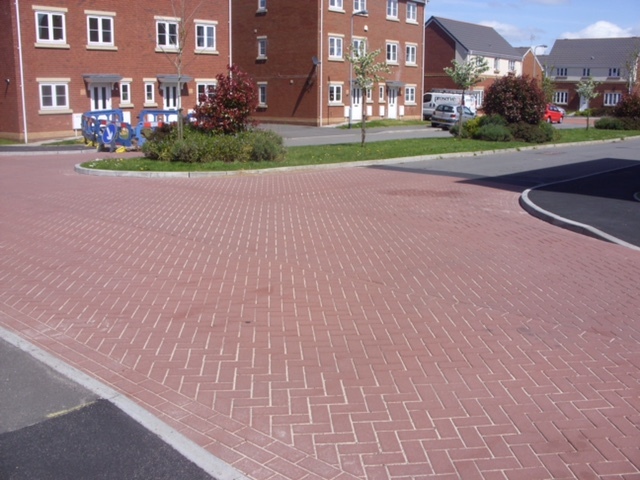 It also allows an exceptionally quick installation time and zero maintenance. The product can be designed in a multitude of colours and patterns. This really allows it to be flexibly situated on an individual basis. 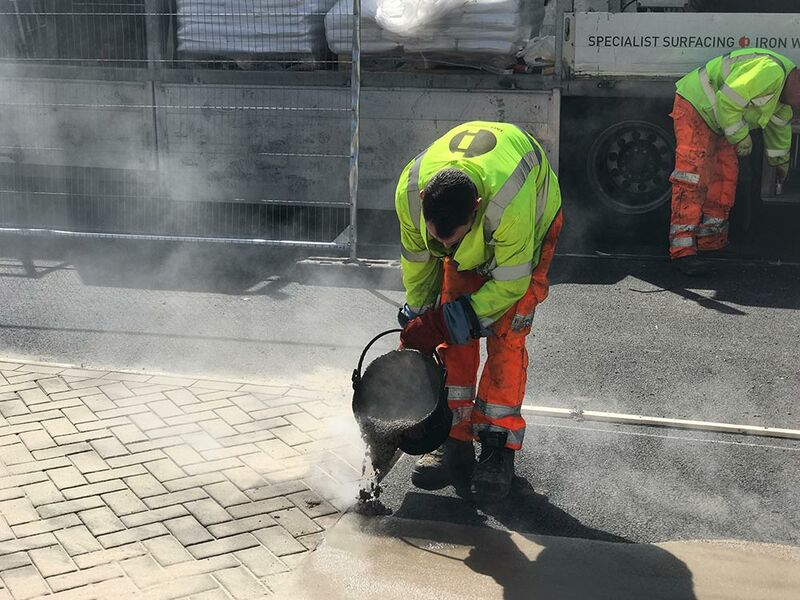 Health and safety is a priority in every area of our work. 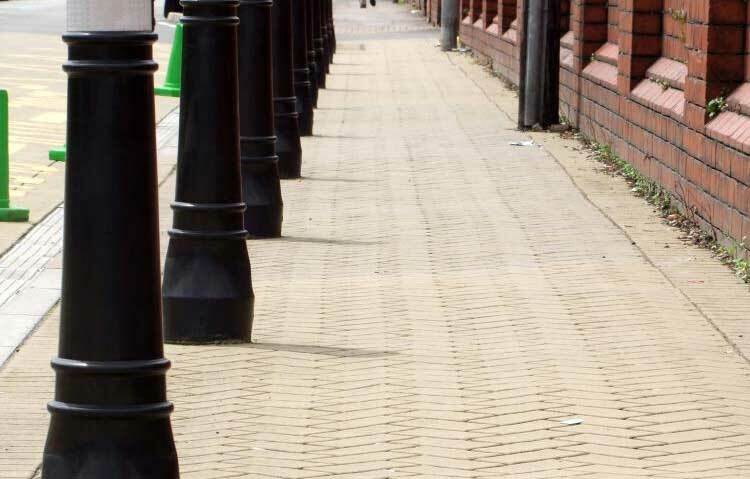 We particularly appreciate there are areas that have a higher level of pedestrians and believe that imprint surfacing is a quintessential solution for car areas, pedestrian pathways and even playgrounds for schools. 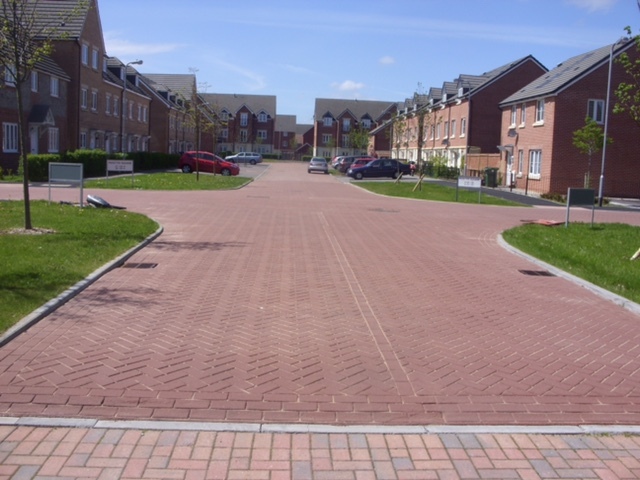 It offers similar features of anti-skid, ensuring the safety of vehicles and pedestrians of all ages. Its fast curing time makes it possible for us to install the product around school hours. This, combined with a range of colours to suit any given environment makes Imprint a logical option. 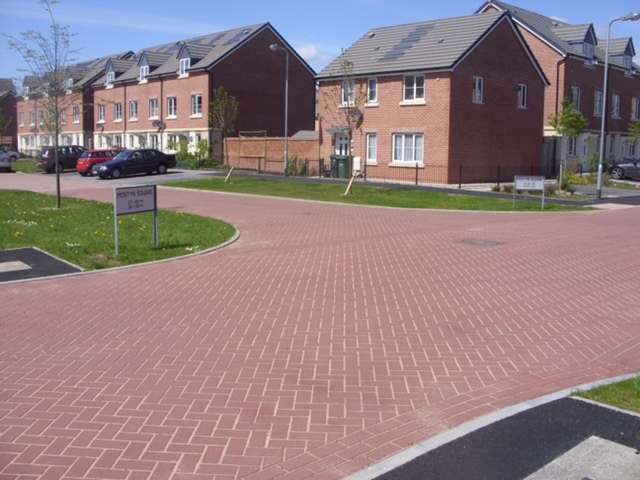 We work closely with organisations such as Road Safety Markings Association (RSMA) and Lloyds Registered Quality Assurance (LRQA) to ensure we improve performance whilst reducing risk to enhance living conditions for residents and pedestrians. 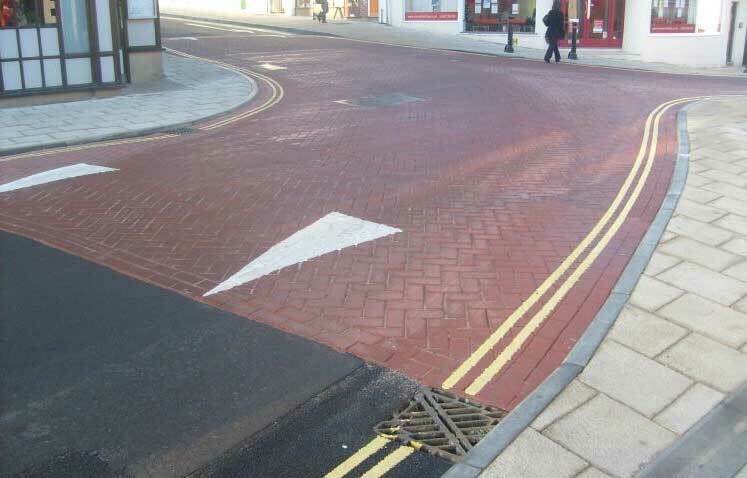 Imprint is ideal for traffic calming. 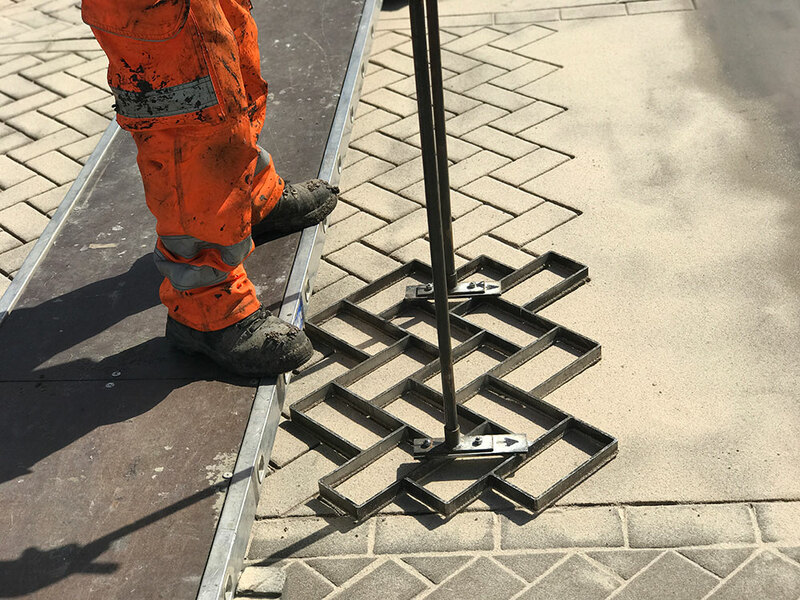 Its quick installation time minimises the disruption to traffic flow and allows a favourable window of application time to suit our customers. 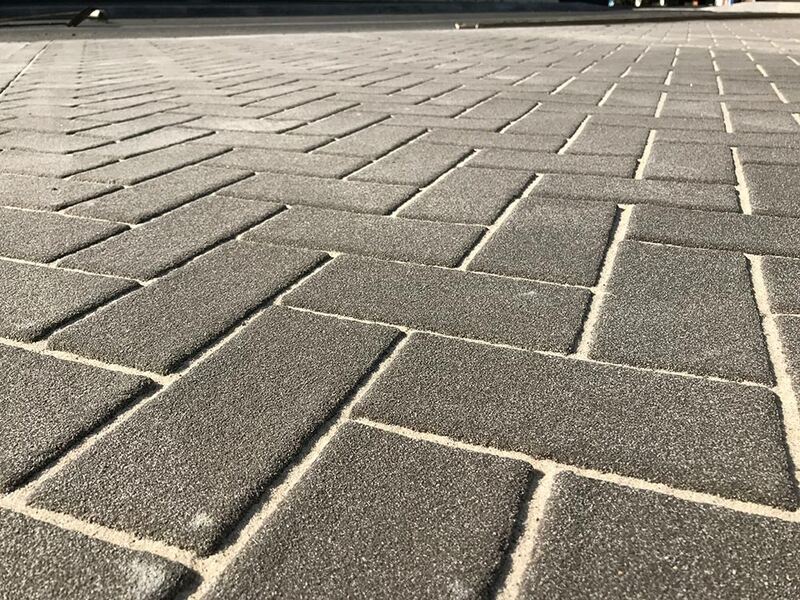 As well as quick application Imprint Surfaces is amazingly hardwearing, perfect for high traffic areas such as speed tables, roundabouts and traffic islands.